Listed below are the numerous galleries & exhibitions where Michael currently exhibits and/or exhibited his work. 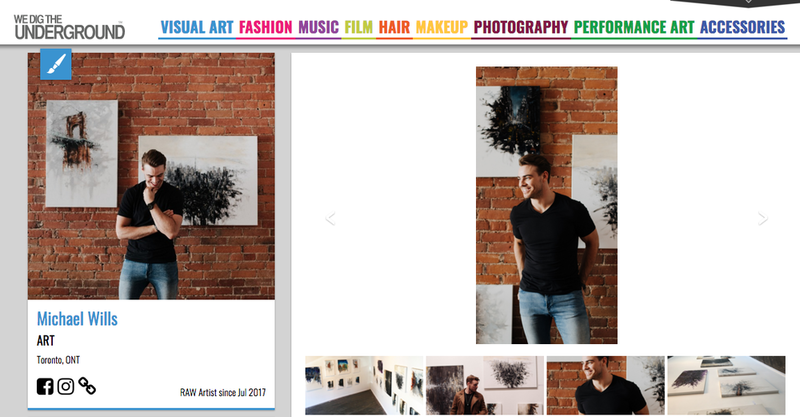 Founded in 2016, Zenith Art&Fashion exclusively asked Michael to feature his work - joining other, hand-selected, top & emerging artists - confident that Michael's talent will help Zenith Art&Fashion 'create a more inclusive, contemporary art & fashion world.' This past December (2017), Michael exhibited his work first-hand at Zenith Art&Fashion's showcase for the world-renowned 'Art Basel' - Miami's week-long, world-leading art-show. 2018, Oil on Canvas, 24"x48"
2018, Oil on Canvas, 36"x48"
Below you will find the numerous exhibitions - both solo & amongst a hand-picked-selection of top, emerging artists - in which Michael has exhibited his work at.